As the summer season comes to an end, brace yourselves for the cool winds that sweep in most regions in the US. This might be the perfect time for Northern California activities this autumn season! If you plan to have a holiday in Northern California anytime in the future, a trip to the Wine Country is always recommended whenever the fall season starts. This is when you will see some of Nature’s most exciting and striking colors. Plus, the cooler winds provide a welcome relief for some who might find the summers in the Wine Country too stifling and uncomfortable. The fall season also means harvest time where the grapes are ripe enough to be picked and made into wine. Here in Napa Valley, we have lots of reasons to celebrate the autumnal colors and the bountiful harvest through many events and activities. Who says summer has all the fun in Napa? Charles Krug Winery in St. Helena should be one of your “must-visit” places in Napa. Other than being one of the oldest Napa wineries still in existence, it also holds its traditional “Picnic on the Lawn” which happens every autumn. Founded in 1951, the “Picnic on the Lawn” gathers food, wine, and music lovers together at one fun-filled event. It also provides the launch for Charles Krug’s newly-released wines which will surely excite wine and non-wine lovers alike. Another reason why visitors love Napa Valley in the fall season is the significantly fewer crowds. This allows wineries to devote more time and service to every visitor, making wine tours a much more intimate and personal experience. Fewer crowds do not mean less fun in Napa during autumn. When you think of fun in the fall, the grape stomping festivals almost always come to mind. Hop in a barrel of ripe grapes and squish them with your feet — it’s actually the traditional step in wine-making, but it also brings loads of fun for you and your friends or family. The best-known places for grape stomping events and competitions are usually the following: Round Pond Estate, Grgich Hills Estate, Villa Ragazzi, Rutherford Hill Winery, Raymond Vineyards, and Judd’s Hill Winery. This year though, Castello di Amorosa’s “Harvest Celebration and & Grape Stomp Competition” is said to be the biggest grape-stomping event, so bring your own team to see how you will fare in the contest! Whether you win or lose, you will still feel like a winner with other perks like fun grape-stomping photo-ops, harvest and winemaking demos, and barbecue with Castello’s wines at their courtyard. 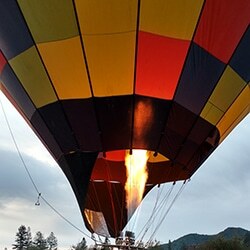 The best time of the day to fly a hot air balloon are the cooler periods, such as morning or late afternoon. And the seasonal weather could mean extra minutes to enjoy the journey! Enjoy the Napa scenery which is bathed in the glow of the golden fall colors under the warm rays of the sunshine. There is no better way to view the beauty of Napa Valley in autumn than viewing from the above ground, gently floating in the clear morning sky. There may be an occasional fog over the fields, the hills, and the valleys, adding to the dramatic effect to the whole landscape. 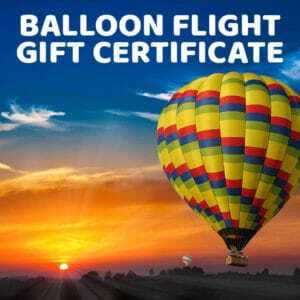 Balloons Above the Valley (BATV) gives you the warm welcome and service this coming fall season. Start your journey first by filling your bellies with freshly brewed hot coffee and baked pastries provided by The Model Bakery at the Oxbow Public Market. From there you will be driven to the launch site where you will witness how the balloons are inflated and readied for the flight. Next, as you lift off from the ground, you will get to enjoy the uninterrupted views of the Napa Valley. Don’t forget to take some pictures and videos while our professional and licensed pilots expertly maneuver the aircraft in the gentle breeze. After the flight, you and the other guests will be driven back to Oxbow Public Market to enjoy a champagne brunch at a C Casa, a Michelin-starred taqueria. Enjoy delicious food while making new friends along the way. While Northern California activities for the fall season may not be as many as during the summer months, they provide a fun and unique experience. Take your most magical autumn moments in Napa Valley to Balloons Above the Valley and you’ll be blown away by the hot air balloon adventures that we offer!